Jeff Smoot was one of those brash young climbers, and here he traces the development of traditional climbing "rules," enforced first through peer pressure, then later through intimidation and sabotage. In the late '70s, several climbers began introducing new tactics including "hangdogging," hanging on gear to practice moves, that the old guard considered cheating. As more climbers broke ranks with traditional style, the new gymnastic approach pushed the limits of climbing from 5.12 to 5.13. When French climber Jean-Baptiste Tribout ascended To Bolt or Not to Be, 5.14a, at Smith Rock in 1986, he cracked a barrier many people had considered impenetrable. In his lively, fast-paced history enriched with insightful firsthand experience, Smoot focuses on the climbing achievements of three of the era's superstars: John Bachar, Todd Skinner, and Alan Watts, while not neglecting the likes of Ray Jardine, Lynn Hill, Mark Hudon, Tony Yaniro, and Peter Croft. 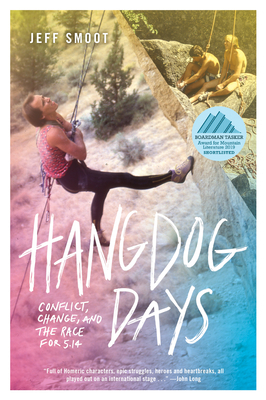 He deftly brings to life the characters and events of this raucous, revolutionary time in rock climbing, exploring, as he says, "what happened and why it mattered, not only to me but to the people involved and those who have followed.